Marlon Wayans is an actor, producer, comedian, writer and film director. His films have grossed more than $736-million in domestic box office, an average of nearly $50-million per outing. As a standup comedian, he is selling out nationwide and adding shows every weekend. He recently hit a career milestone with his highly anticipated first-ever stand-up comedy special “Woke-ish” which premiered on Netflix on February 27, 2018. Wayans stars in the hit NBC sitcom “Marlon,” which has been renewed for a second season. The sitcom was the summer’s #1 new scripted series on the Big 4 networks and was one of the most-watched new summer comedy premieres in the last decade. Loosely based on his life, “Marlon” is a family comedy centered around a loving (but immature) father committed to co-parenting his two kids with his very-together ex-wife, played by Essence Atkins. Wayans also stars in the hit Netflix movie NAKED which premiered on the streaming site last August. Based on the Swedish film, NAKEN, the romantic comedy co-stars Regina Hall and reunites Wayans with director Michael Tiddes. Marlon, who is also a writer and producer on the movie, stars as Rob Anderson, a charming man-child, who wakes up on his wedding day, naked in an elevator, reliving the hour before the ceremony over and over again. He last starred in FIFTY SHADES OF BLACK, which he also wrote and executive-produced, in January 2016. Directed by Michael Tiddes, the film co-starred Mike Epps and Kali Hawk. In 2014, Wayans starred in the Open Road Films comedy A HAUNTED HOUSE 2, the sequel to the hilarious and successful film, A HAUNTED HOUSE, which had a budget of $2-million and grossed $18.1-million on the opening weekend. Wayans produced A HAUNTED HOUSE, as well as A HAUNTED HOUSE 2. The sequel, directed by Michael Tiddes, is now available on DVD. Wayans starred alongside Gabriel Iglesias, Essence Atkins and Jamie Pressly. The film is a parody of the “found footage” genre, such as the PARANORMAL ACTIVITY franchise and THE DEVIL INSIDE. On the small screen, Wayans hosted the hit NBC show “I Can Do That!,” a comedy/variety series where six celebrities are asked to put on an entertainment show with skills they didn’t even know they had. 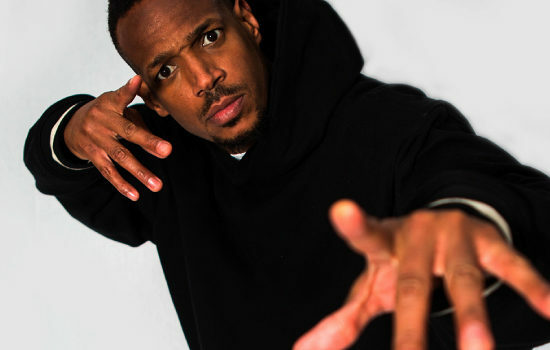 He also starred in and created the TBS hit comedy competition series “Funniest Wins.” In 2014, he embarked on a national comedy tour with his brothers Keenan, Damon and Shawn Wayans. This marked the first standup tour for the four Wayans Brothers in many years. Wayans has also launched the online venture, What The Funny, with internet serial entrepreneur and Funny Or Die co-founder Randy Adams. What The Funny serves up urban comedy from established and emerging comedians, writers and actors through its web site at WhatTheFunny.com.